Few things feel better than sinking into your favorite chair or couch at the end of the day. But when your favorite piece of furniture starts to look worse for wear, it can be hard to completely relax. Your pieces may become faded with use, or even develop holes, scratches, or thin spots. Thankfully, you don’t have to completely replace your furniture to get many more years of use out of them. In fact, with help from Imperial Custom Upholstery, LLC, it’s easy to keep your chairs, couches, and other furniture looking their best. We’re proud to remain locals’ first choice for couch upholstery and reupholstering in Phoenix, AZ, and the surrounding areas. 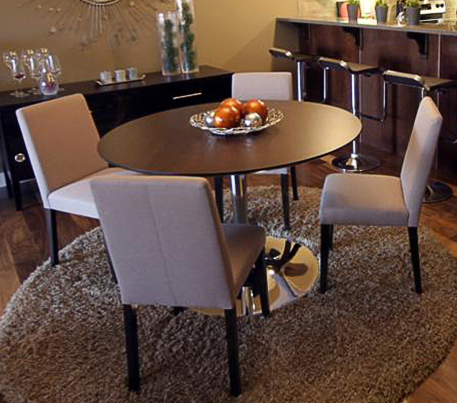 Turn to our team when you need a little professional help with your furniture. We specialize in breathing a little fresh air into pieces of all kinds. Keep your home or business looking its best with help from upholstery specialists that know their way around furniture. We’ll outfit your favorite pieces with beautiful, new materials; leaving you with pieces that look as good as new. Ottomans: Ottomans should be comfortable and attractive – after all, no one wants to prop their feet up on one that’s faded or full of holes. Don’t sacrifice a cozy resting spot for your feet just because it’s old. Instead, consider having your ottoman refreshed by our reupholstering team. Friends, family, and guests can kick back in style after you choose us for ottoman reupholstering. Outdoor Cushions: Sitting on your porch and sipping a refreshing drink is one of life's little pleasures. But you don’t have to let damaged cushions ruin the experience. Leave the hard work of outdoor cushion reupholstering and recovering to our skilled team. We’ll ensure that your cushions look and perform better than ever, helping you feel good about your porch’s appearance and atmosphere. Leather Sofas: Traditional and sophisticated, leather couches are popular throughout the world, and it’s easy to see why. However, leather is susceptible to unique kinds of wear and tear; worse, it can be difficult or even impossible for laymen to restore leather to its original condition. Enlist our advice on all your options for your worn-out leather pieces. Contact us today to request your estimate for couch upholstery and reupholstering services. We proudly serve customers in Phoenix, Scottsdale, Mesa, Chandler, Gilbert, and Peoria, Arizona.